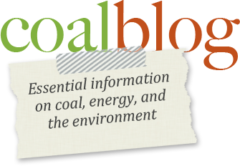 The Coalblog has been providing balancing information on energy, policy, and the environment since 2004. Terry Headley is the Communications Director of the American Coal Council and Editor of American Coal magazine. A potential 25% tariff on US coking coals to China may have little long-term impact on most Chinese buyers, though concern about defaults on recent trades is mounting, market sources said. Earlier in June, the Chinese Ministry of Commerce said US exports to China may face additional 25% tariffs. The additional tariff may include US coking coal exports to China. This is an abrupt about face which could hit several Chinese buyers, particularly those that have bought US coking coal. © 2019 COALBLOG. Theme: Ari by Elmastudio. Proudly powered by WordPress.